Gone are the dark ages where mineral owners were relegated to relying on hostile oil company employees, unhelpful deed clerks, and state regulatory employees speaking mystifying industry jargon. The Internet has revolutionized access to information for mineral owners. Plentiful Internet resources can now equip you with most of the information you need. Every day people exchange helpful links to articles and information resources. This article attempts to accumulate some of these resources into one place. One of the best ways to follow drilling trends and results is to follow the companies that drill wells and build pipelines. Many publicly-traded companies do special presentations on their drilling activity to market their companies. See the recent presentation by Apache Corp., as an example. In addition, quarterly earnings reports and conference call transcripts of public companies are a good way to follow drilling activity and results. Set up a Google Alert for the companies or shale plays you wish to follow. Some companies will allow you to sign up for email alerts when they issue new press releases and papers. Finally, you can sign up for email alerts through investor websites, such as Seeking Alpha. Baker Hughes has an excellent interactive drilling map that shows the location of drilling rigs worldwide. The map can be accessed here. The Texas Drilling Observer, and Well Database.com also contain drilling reports. The industry sponsored website for issues regarding fracing, including information on specific wells, can be found at fracfocus.org. The various online forms are useful for posting questions and hopefully, getting answers or direction. You have to parse the information to see if the person really knows what they are talking about. Check out GoHaynesvilleShale.com, GoMarcellusShale.com, GoEaglefordShale.com, or MineralRightsForm.com, where the NARO Message Board is hosted. Geology.com is a good resource on the basics of geology, with a large section on oil and gas. Sign up for a Google alert to get e-mails sent to your desktop every time a news article is released on your topic of interest. The best way to follow activity in a particular area is to set up a Google alert for a particular oil and gas play, such as “Bakken” or “Delaware Basin”. If you are leased to a particular company, set up a Google alert for that company. Be forewarned, public companies are not big on gloomy news. Most corporate press releases have a relentless positive spin, such as reporting only the best wells. The American Association of Professional Landmen has information on the landman industry, good articles and courses on the basics of locating and leasing minerals, and the code of ethics landmen are supposed to follow. One of the best sources of information for lease rates are the forums. Comparables on lease and sale offers can also be found at www.mineralinsight.com. A detailed listing of oil and gas prices can be found through Plains All American. In West Texas, the standard for damage payments for lease and surface damages is found in the University of Texas’ UT Damage Schedule. MineralWeb.com has substantial resources on mineral rights and legal materials. Schlumberger has a free glossary of oil field terms for those learning to speak the language. An explanation of how to understand division orders and royalty percentages can be found here. A measurement converter calculator can be found here. Google Earth is found here. Pocket Surveyor is an Android and tablet app that may be helpful. Golden software's Map Viewer and Blue Marble's Global Mapper are two pay-for-use mapping services. The U.S. Energy Information Service includes a map of energy resources. Tools available include natural gas summary statistics, state total energy rankings and reports on household energy use. For California, Oklahoma, and Texas, Earthpoint.us uses Google Earth to zoom in on tracts by abstract and section searches. The various forums one place to start if you want to market your minerals for sale or lease. Post them under the County Group where you minerals are located. There are many landmen and mineral buyers who follow the site. Petrovalues.com offers some well data, does sophisticated mineral valuations, and lists minerals for sale or lease. Some services are free while they charge for others. EnergyNet.com is an online auction that also markets minerals. PetroleumListingPlace.com is another site you might look into. You can find a swath of mineral buyers by just doing a few Google searches. One of the most comprehensive royalty/industry resources is Drillinginfo.com. Basic subscriptions are $2,000/year and up. It pulls together information from many public sources into a single interface. The service also has mineral management features, and allows you to set up “areas of interest” where you are sent email alerts of any activity in the area. NARO TEXAS MEMBERS GET A FREE ONE COUNTY ONE YEAR SUBSCRIPTION TO DRILLINGINFO!! An alternative to DrillingInfo is DrillingEdge.com. Mineral management software is also offered by Pops Royalty Management Software, Avatar Systems, WellDatabase.com, Landboss.com, MineralSoft.com, and Royalty Advocate. Revenue data can be obtained electronically from Oildex and EnergyLink.com. They provide data to mineral owners so that they do not have to manually input check data into their accounting software. Many of these companies attend our conventions as exhibitors so you can "test drive" their products and find out which is best for you with one on one assistance from a company rep. Many appraisal districts have databases that can be searched to find if you owe any property taxes, who else owns minerals in your wells, who else owns surface in or near your tract, and other valuable information. A good portal for the Texas appraisal districts (“CAD”) is here. A website that is subscription based and takes CAD data and repackages it in more searchable form is MineralHolders.com. Many of the websites mentioned above have links sections in their banners with numerous other sites. See sites such as TLMA and TIPRO. Visit our other pages on the Resource tab above to find a full page of other organizations of interest to mineral owners, interactive state agency pages etc. When all else fails, or when you simply don't want to continue trying to solve your issue on your own, consult a Mineral Manager! These experts in oil and gas royalty ownership can help you with anything from title issues to payments in suspense. They can review your paystubs to be sure they are correct, help you negotiate a lease or sell your property. No matter if the project is big or small a Mineral Manager can help. Call the National Office to get a name and contact information for a Mineral Manager in the state where your mineral are located. Need a cost basis analysis for your property? Need a value for medicaid? Need a value to understand if the offers you are getting are fair? Mineral Appraisers are the professionals you need. Call the National Office to get a name and contact information for an Appraiser licenced in the state where your mineral are located. There are several multi-state portals for information. Record retrieval sites for multiple states are here, and at courthousedirect.com. 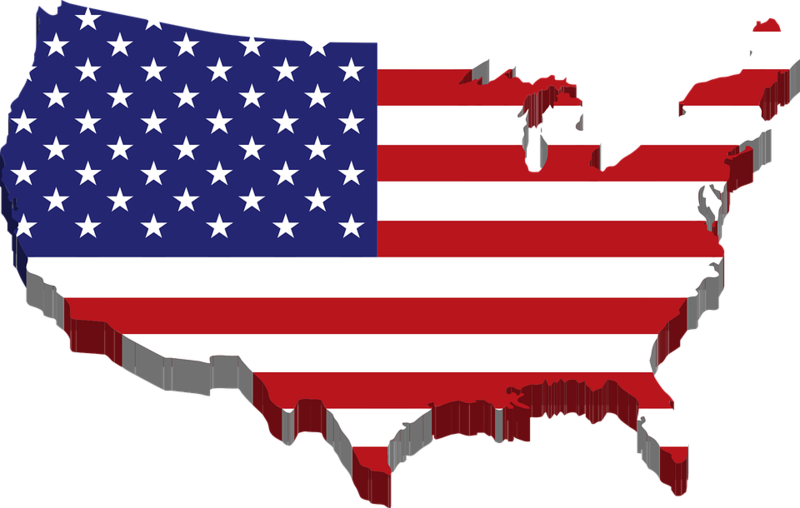 A portal for counties across the United States is at the home page for the National Association of Counties. A multi-state portal for unclaimed property is Unclaimed.org. If you are not a member of NARO, Join today! Since 1980 we have been assisting mineral and royalty owners, just like you! Visit our events tab to see when events local to you are happening so you can network with other mineral owners. a. Drilling Permits and Production Reports – Production and drilling reports for Alabama can be found here. b. Land Maps – ALS has a GIS-type map that is good for locating lands and wells here. a. Drilling Permits and Production Reports – Arkansas drilling and production information is here. b. Land Maps – Arkansas’ version of the GIS land map is here. a. Drilling Permits and Production Reports – California’s online production and well records search forms are located here. b. Land Maps – California’s GIS map is located here. a. Drilling Permits and Production Reports – Colorado permits and production information are here. b. Land Maps – Colorado’s GIS maps are here. a. Drilling Permits – Idaho’s permits and other information are located here. b. Land Maps – Idaho oil and gas maps can be found here. c. Production Reports – Idaho’s historical production reports are located here. a. Drilling Permits and Production Reports – Instructions on how to access Illinois oil and gas resources data are located here. b. Land Maps – Illinois’ GIS map is located here. a. Drilling Permits and Production Reports – Kansas’ drilling and production information is found here. b. Land Maps – Kansas online maps are found here. a. Drilling Permits and Production Reports – Here is the portal for Montana's oil and gas records. b. Land Maps – Montana’s GIS maps are here. c. Other – The Montana Board of Oil and Gas has a wealth of information online here. a. Drilling Permits and Production Reports – Nebraska’s drilling and production information can be found here. b. Land Maps – Nebraska’s GIS maps may be found here. a. Drilling Permits and Production Reports – New Mexico’s drilling permit and production information can be found here. b. Land Maps – New Mexico’s GIS Maps are found here. a. Permits and Production – New York permitting and production information is located here. a. Drilling Permits and Production Reports – North Dakota’s drilling permit and production report data can be found here and here. b. Land Maps – North Dakota’s land maps are located here. a. Drilling Permits and Prod Reports – Ohio’s drilling permit and production reports may be found here. b. Land Maps – Ohio’s GIS maps are located here. The USDA's National Resources Conservation Service has GIS maps which can be accessed for Oklahoma (and other states) here. a. Drilling Permits and Production Reports – Information about Oklahoma’s drilling permits and production reports may be found here. b. Land Maps – County and section line maps for the State of Oklahoma may be viewed here and here. Oklahoma's geological survey information is also available online. c. Newspaper Reports – Drilling reports are available from The Oklahoman . d. Oil and Gas Lease Auctions – Information about oil and gas lease auctions in Oklahoma is available online here. e. Miscellaneous Oklahoma Resources – Oklahoma's Unclaimed Property Index is a good resource. Oklahoma's online corporation records are here. Search Oklahoma land records by county starting here. Oklahoma Corporation Commission imaged document search pages can be found here. The weekly Oklahoma City Court Calendar is posted here. And crude oil prices covering Oklahoma (and several other states) can be found here. a. Drilling Permits and Production Reports – Pennsylvania drilling and production information is here. b. Land Maps – Pennsylvania land maps are located here. a. Drilling Permits and Production Reports – South Dakota drilling and production information is located here. b. Land Maps – South Dakota’s land maps are here. A good general resource for Texas is Jack Fleet’s article, Resources for Mineral Owners, Texas 2013.
a. Appraisal Districts – Appraisal District searches can be done here. b. Drilling Permits and Leases – The RRC has a portal for all of their online resources here. Texas Wells has an App Store application for Texas drilling locations. Leases can be found by searching court deed records, but school districts, who own substantial minerals, usually have to publish terms of the leases they sign. c. Land Maps – The Texas General Land Office has an excellent, interactive GLO map that is good for locating the block and section on land, as well as providing a general idea where land is located. More data is being moved on this map on a regular basis. There is also information on land grants and leases on state mineral-classified land by clicking on a particular section within the map. 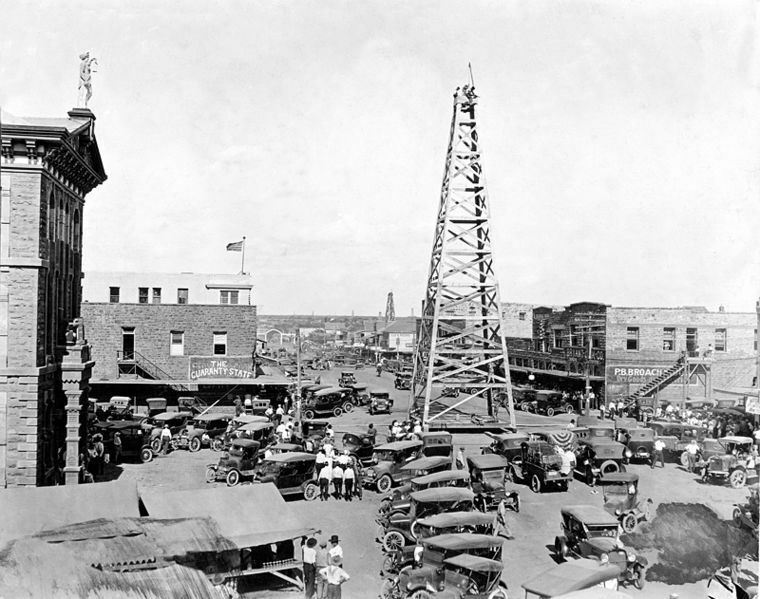 d. Newspaper Reports – The Abilene Reporter News, Odessa American, and Midland newspapers publish reports once a week on oil and gas activity. e. Production Reports – The Railroad Commission map here, or the online portal here, get you to production information. f. Public Records – TexasFile.com has free registration, cheap records, and good county coverage. Not all counties are covered, however. See also, courthousedirect.com. g. Unclaimed Property – An easy search for unclaimed property can be done at ClaimitTexas.org. a. Drilling Permits and Production Reports – Utah drilling permit and production reports are here. b. Land Maps – Utah’s land maps may be found here. a. Drilling Permits and Production Data – West Virginia’s drilling and production data are located here. b. Land Maps – West Virginia’s land maps are located here. a. Drilling Permits and Production Data – Wyoming’s drilling reports and production data are located here. b. Land Maps – Wyoming’s land maps are located here.